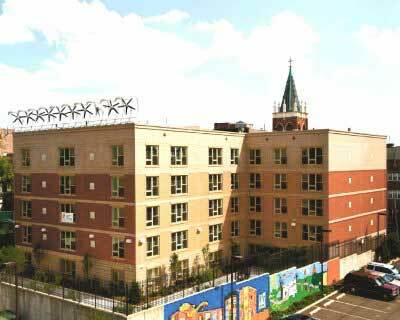 Micro wind turbines on an apartment building's roof help offset energy costs in the building. With the rising cost of electricity and the increased public green consciousness, homeowners look for ways to cut their energy costs, and maybe also sell the energy produced by alternative means back to the power grid. 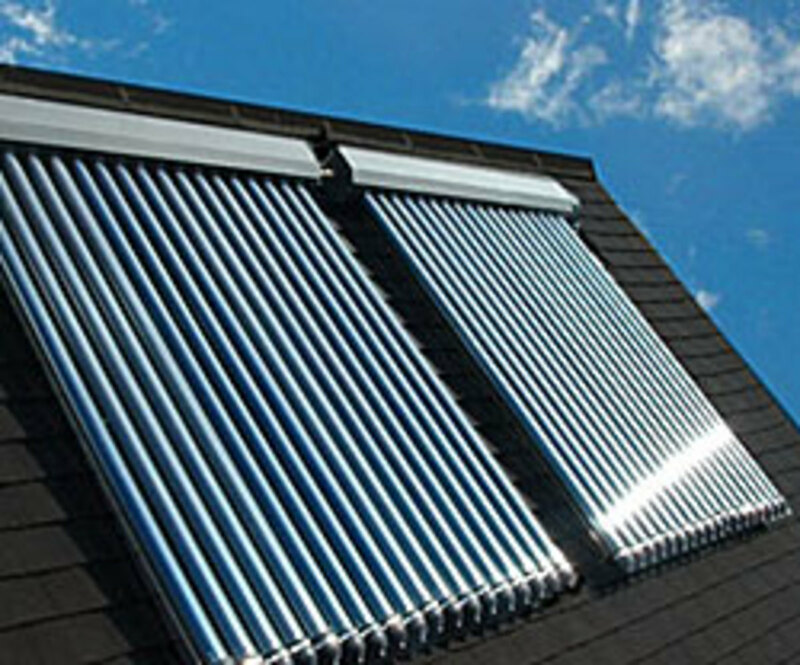 Solar power has been used by homeowners for several decades to generate energy for hot water heaters, pool heaters and to power small appliances around the house. Wind power is another form of sustainable energy that, like solar power, can be used to generate energy for home use. 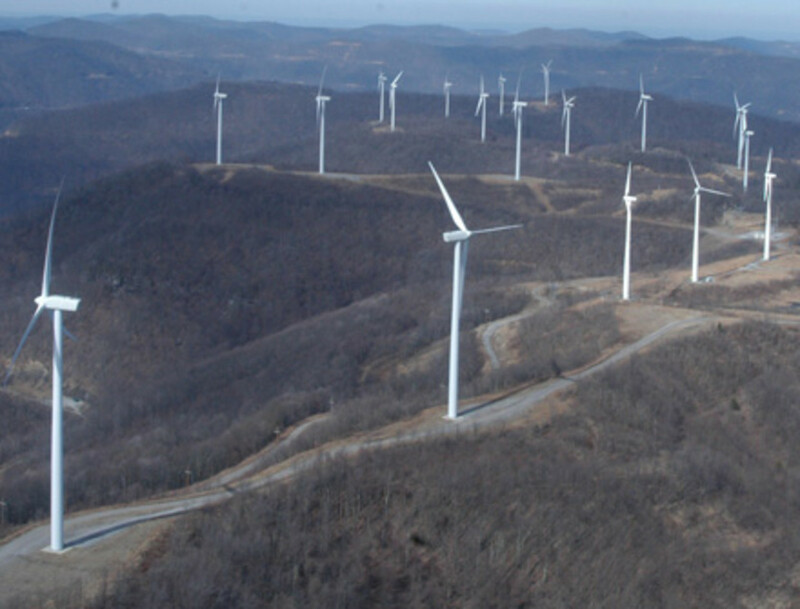 Commercial wind farms are used in many states and countries. 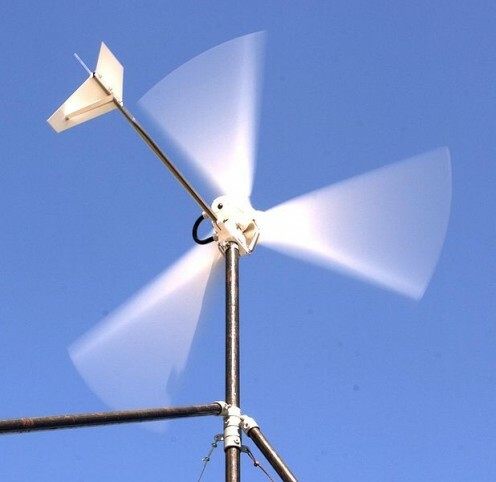 Technology now allows homeowners to install micro-turbines to aid in lowering energy costs. There are four main benefits to using a rooftop wind farm: lowered energy costs, the ability to sell energy back to the power grid, a reduced dependence on coal or nuclear-generated power, and a federal tax credit worth 30% of the cost of the wind turbine system. However, there are several factors that may outweigh the benefits of a rooftop wind farm. This wind turbine charges a 12 V battery to run 12 V appliances. The main detracting factor to a rooftop wind system is wind resource – how much wind is present at the site’s location. The amount of natural wind to be found in that part of the country is one part of the equation. Wind resource maps may provide the answer but have been found in some situations to be inaccurate. Another part of the equation is ground drag and ground clutter. Ground drag refers to the amount of friction exerted by the ground. 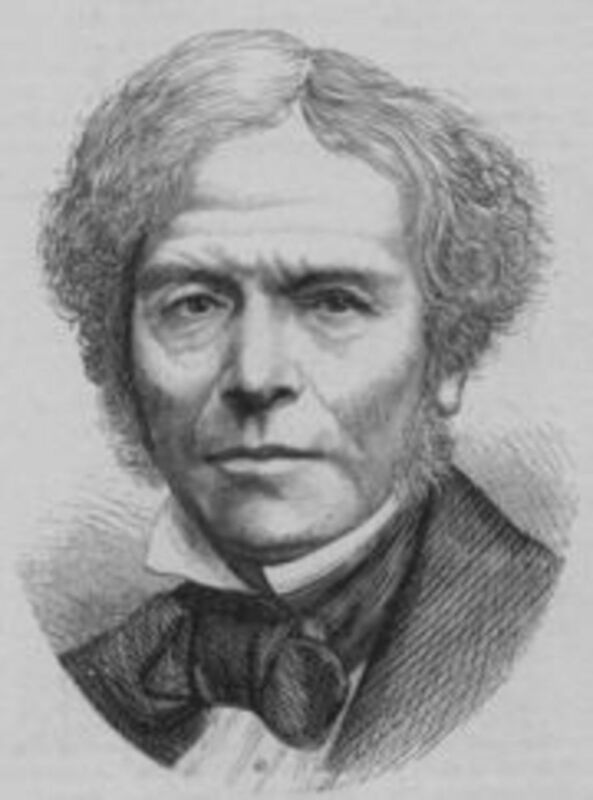 In other words, the wind’s strength close to the ground is not as much as it is away from the ground. Ground clutter refers to the obstructions on the ground – buildings, trees and other structures that can block wind. Mike Sagrillo of the American Wind Energy Association recommends, “The resulting simple rule of thumb used for determining minimum tower height at a site to ensure minimum wind resource quality and quantity is that the entire rotor of the wind turbine must be at least 30 feet above anything within 500 feet of the tower.” (AWEA) In other words, strapping a couple of micro-turbines directly to the roof of a house probably will not generate enough power to make the system practical, due to the ground drag and ground clutter. According to the manufacturer, this system provides wind power in the winter when wind is strongest and solar power in the summer. However, with this many trees around the site, it is questionable if the system works like it should. The negative aspects of a rooftop wind farm may seem a bit overwhelming. They are factors that can be measured and accounted for rather easily. To measure the wind resource, mount an anemometer at the desired height and collect data for a few weeks to a few months. It is also vital that an extensive engineering survey is completed to be sure the building’s roof and walls can handle the loads exerted on them. Despite the cost, and time, involved in determining a building’s suitability for a rooftop wind farm, the benefits that can be reaped if the site is suitable are long-range and likely would outweigh the negative factors. 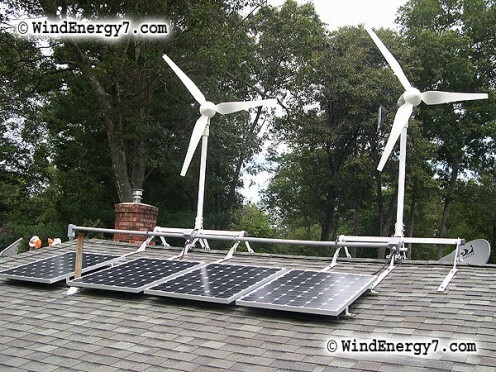 A micro-turbine can generate up to 20 kilowatts of power, save the homeowner on electric costs over the life of the system (usually 20-30 years), reduce the home’s dependence on non-renewable energy sources, provide energy to the power grid further reducing the community’s dependence on non-renewable energy, and in the short term provide the homeowner with a tax credit of up to $2,000 given the wind turbine system’s average cost of $2,000 to $6,000. All things considered, a rooftop wind system provides several benefits that make researching its feasibility a positive project. Just as with solar power, there will be areas and sites where rooftop wind farms just are not practical. On those buildings where they are practical, the homeowner will reap rewards far into the future. 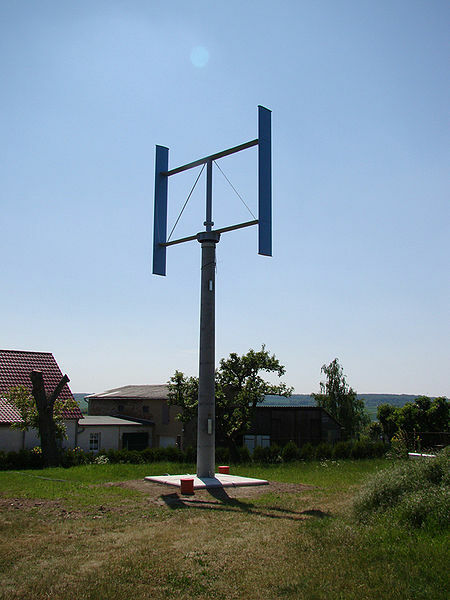 5 kilowatt vertical axis wind turbine. 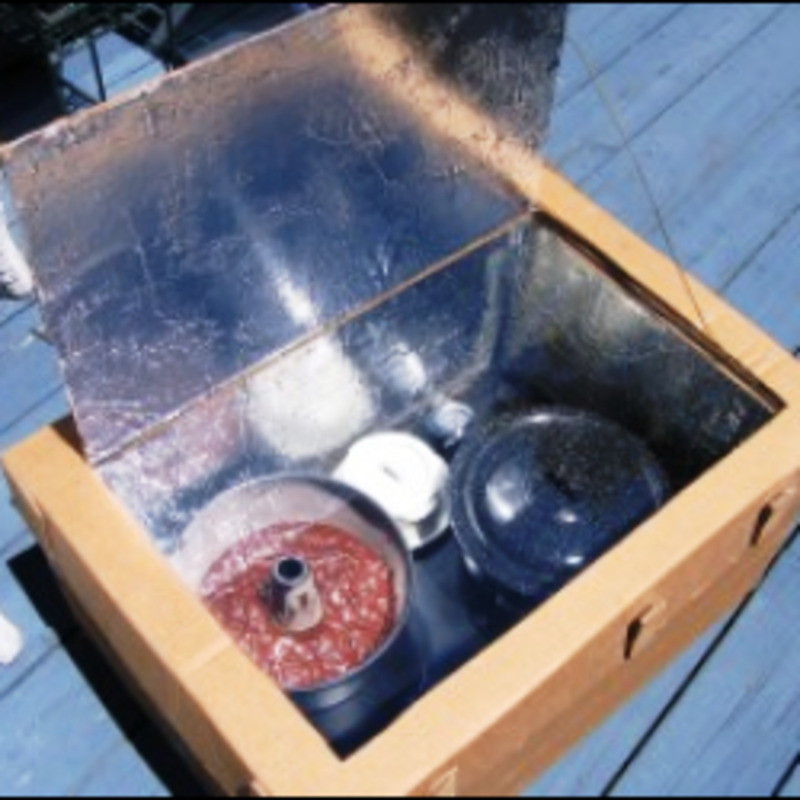 Build Your Own Homemade Electricity Generator - Do it yourself and Save! I would also need to know the maximum wind a unit can withstand. That can be a consideration.